"I create long-term, lasting relationships with my clients and help them create a plan designed for a comfortable retirement." Frank Cockrell, CFP®, CRPC® is a Financial Planner affiliated with Retirement Security Centers, he has been working with our group since 1997. 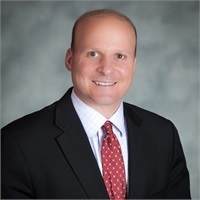 Working with families, business owners, executives and successful professionals in many industries, Frank is dedicated to providing comprehensive advice with a commitment to excellent customer service to help clients through the many phases of life. Frank attained the CERTIFIED FINANCIAL PLANNER™ practitioner designation in 2003. This designation, along with the continuing education required to maintain it, allows Frank to constantly evolve his processes and knowledge to help clients in an ever-changing world. By implementing a process led approach, Frank is able to help clients identify and take advantage of potential opportunities. Frank received a degree in Financial Management from California State University, Chico in 1996. Frank has been seen on "Money Talk Mondays" on Sacramento & Company on Channel 10, an ABC affiliate. A member of many local non-profit groups, Frank believes that it is important to give back to the community. He routinely volunteers along with his wife Wendy, who also shares this passion for charitable endeavors. Use of the AIF designation does not imply that Lincoln Financial Advisors Corp. or its Investment Advisor Representatives may act in a fiduciary capacity for ERISA plans.